This offer is for clients who have never had a beauty treatment at Headstart Total Body and can be used one time only. 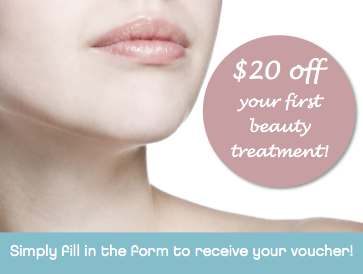 Valid for beauty treatments valued at over $50 only. Excludes hair and tanning services and product purchases. Not available in conjunction with any other discount. Your voucher is valid for six weeks only. Not available for existing or past beauty clients of Headstart Total Body. Headstart Total Body reserves the right to cancel this offer at any time. © 2019 Hairdresser & Beauty Therapy in Glen Eden, West Auckland | Headstart Total Body. All Rights Reserved.